Lock in a great price for A Little House In Rechavia – rated 8 by recent guests! 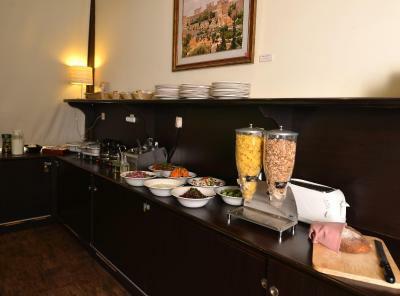 The breakfast was fine, but the two strongest features of this hotel are the size and quality of the rooms and, most notably, the location, in the heart of Jerusalem with easy access to the Old City and the light rail system which can get you all around the city easily. Breakfast. The room was well lit. Front desk was helpful. Helpfulness of the staff. Ready to solve problems (after information regarding transport on the 15. 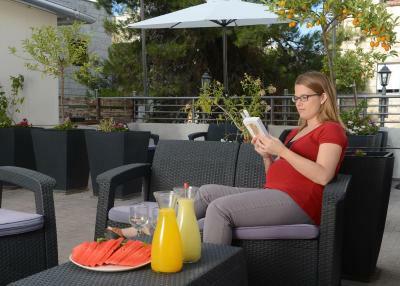 March due to the Jerusalem Marathon we had to cancel a night which was possible on short notice). 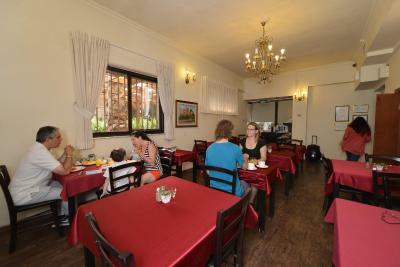 It is a central location, quiet, clean comfortable. 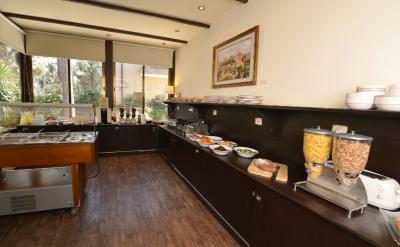 When I need to stay overnight in Jerusalem this is the place. Nice building and calm area. 24hrs hot and cold drinks. The service was top notch. The hotel is clean and comfortable. And the breakfast was plentiful. 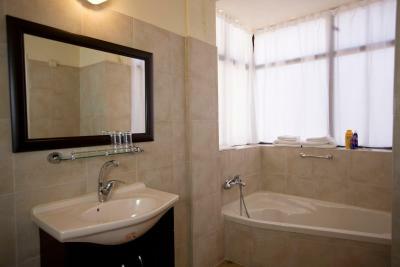 The rooms are simple but adequate, although the beds are hard. The whole place was peaceful, quiet and relaxing. 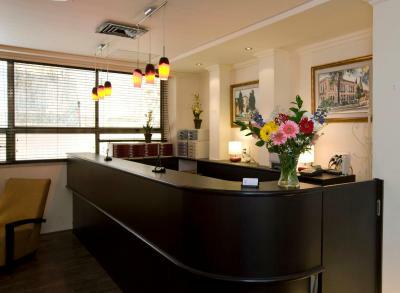 The staff was very helpful and cheerful. We found the breakfast to be extensive and yummy with many choices especially for vegans although there wasn't any protein option for a vegan. However, when I presented a packet of instant steel cut oats to the kitchen manager, he was very quick to figure out what I needed and brought my bowl of oatmeal to my table when it was finished cooking. 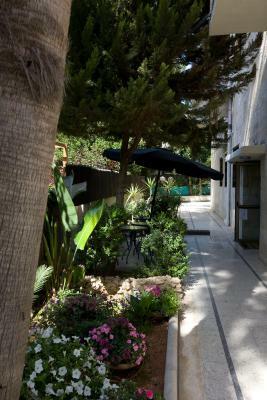 The property itself isn't large, but the small gardens outside offer a quiet and lovely spot for a cup of coffee while doing a little reading. 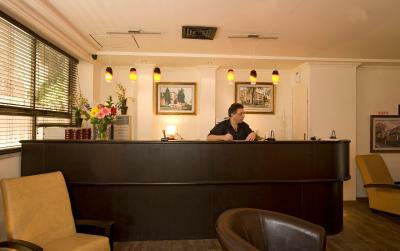 Overall, this was a very nice boutique hotel from which to experience the bustling city. Location was great. Nice hotel for family and business. The staff. The atmosphere. The breakfast was pretty good. 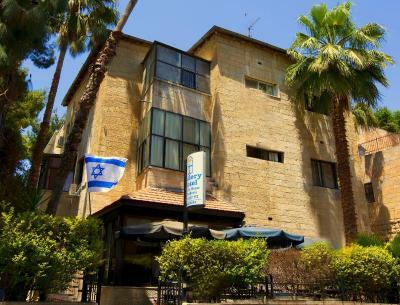 One of our top picks in Jerusalem.In one of Jerusalem’s nicest neighborhoods, A Little House in Rechavia is a hotel in a great location, within easy walking distance of the center of the city and the old city. Free Wi-Fi is provided. 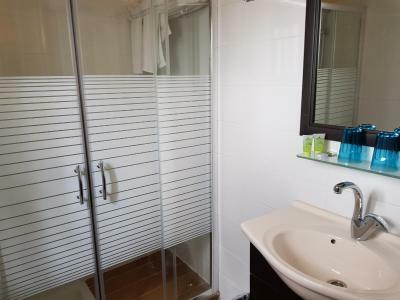 This small property features just 28 guest rooms, all non-smoking, and is found in a quiet residential street in the exclusive suburb of Rechavia. The Little House has comfortable and spacious guest rooms, neutrally decorated with country-style furnishings and private bathrooms. Concierge service is available. 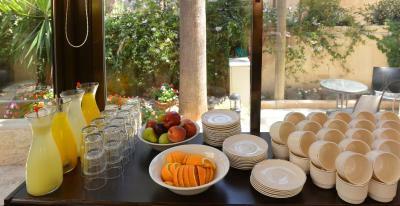 The hotel serves a strictly Kosher Israeli breakfast each morning. With a previous request, the property will provide a full Friday night Kosher dinner and full lunch on Shabbat, for an additional fee. 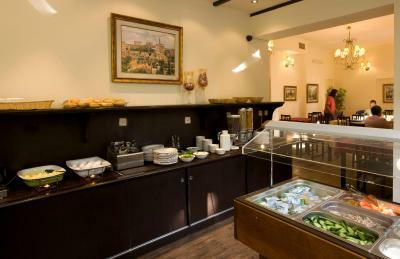 The hotel provides complimentary tea and coffee all day long to its guests. 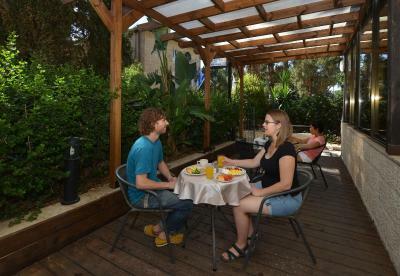 A Little House in Rechavia is just a 10-minute walk to Jerusalem city center, 20 minutes to the old city and only 5 minutes from the Great Synagogue. 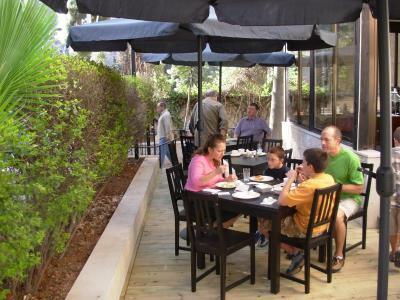 Guests will find a number of restaurants and shops within an easy walk on Ben Yehuda and Gaza Streets. When would you like to stay at A Little House In Rechavia? 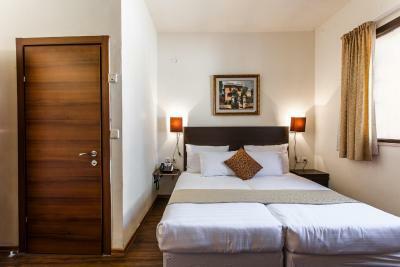 This twin room has independent climate control, and an LCD TV with cable channels. Most rooms have a mini-fridge. 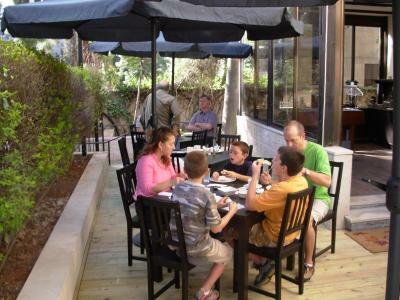 Please specify the total amount of guests and the maximum age of any children when booking. 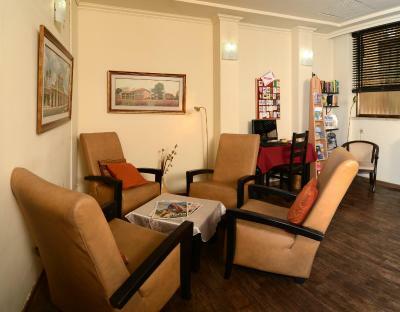 The family room includes 2 connecting rooms, 1 with a double bed and the other with 2 singles. 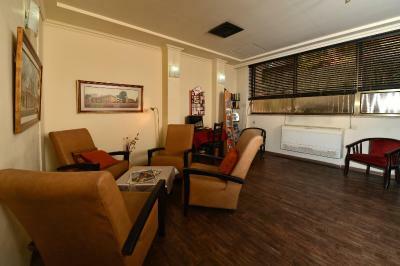 It features independent climate control, and an LCD TV with cable channels. Most rooms have a mini-fridge. The single room has one double bed. 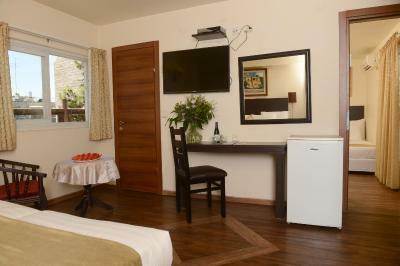 Each room has independent climate control, and an LCD TV with cable channels. Most rooms also have a mini-fridge. 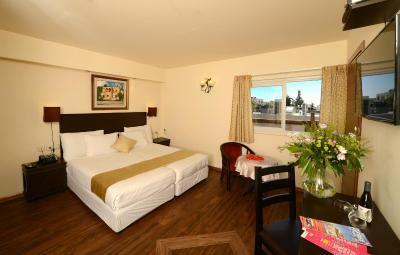 Each quadruple room has 4 single beds or 3 single beds and a sofa bed. 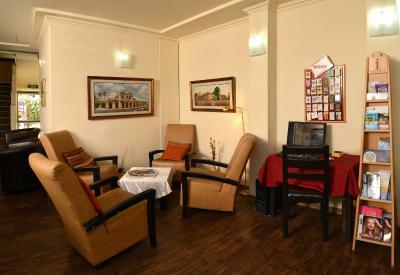 Each room has independent climate control, an LCD TV with cable channels and a mini-fridge. House Rules A Little House In Rechavia takes special requests – add in the next step! One child from 2 to 12 years is charged ILS 69.18 per person per night in an extra bed. One older child or adult is charged ILS 103.76 per person per night in an extra bed. A Little House In Rechavia accepts these cards and reserves the right to temporarily hold an amount prior to arrival. Please note that the check-in after Shabbat and Jewish holidays is possible starting 2 hours after the end of Shabbat or holiday. If you expect to arrive outside front desk hours, please note extra charges apply. A charge applies for late check-out on Saturdays. 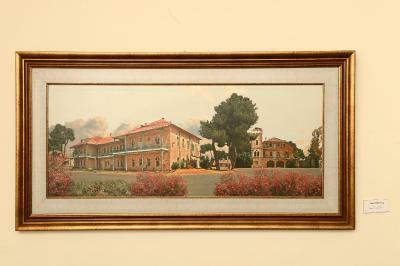 All requests for late arrivals are subject to confirmation by the property. The location was excellent. 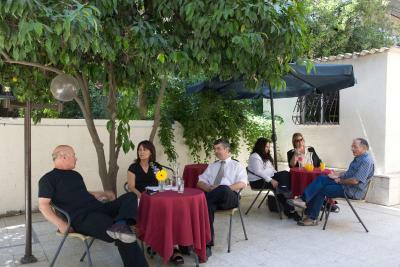 A beautiful location within easy walking distance of the US embassy, Jaffa street, and the Old City. Location is good. Hamad and the other male receptionist were helpful. Our check out was very pleasant because of the friendly greetings of the female receptionist. 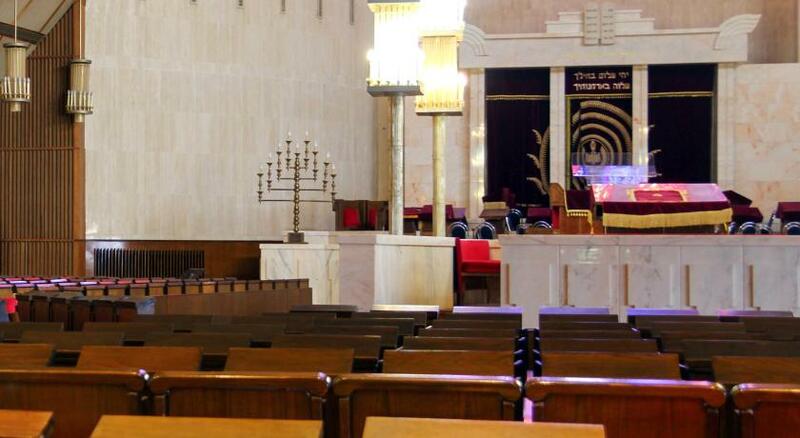 A synagogue, which at times seems like a day and night care center for kids, is directly next door and can be inappropriately loud up to midnight. Manager surley, burned out. Breakfast staff unsmiling. Not service oriented. Terrible toxic smell of disinfectant made it very difficult to breathe. I used to stay here all the time. No more. Bathroom needs some attention as some mould visible on ceiling and walls. 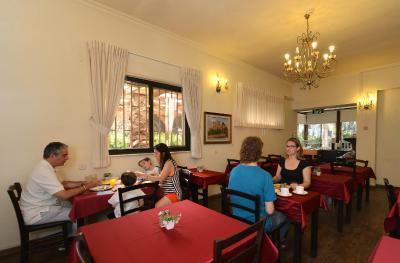 Comfortable and clean hotel with friendly helpful staff. Excellent location. 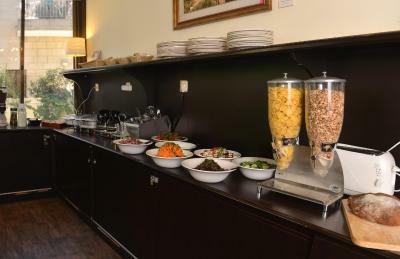 Good breakfast with good selection of food. The staff was outstanding. The smallness of the place made it feel like home away from home. We at our age (mid-70s) could walk to downtown and to Mahne Yehuda without difficulty. Room was small. Very hard for two people to be in bathroom at same time. Standard twin bed was short for this 6 footer. In the midle of the first night the bell in the hotel ring without any reason for 15 minute. It was very uncomfortable. Furniture old, run down, floor dirty, bathroom not cleaned properly, obviously no vacuum cleaner, therefor very dusty and not pleasant, which is a pity since the tradition of the house is old (German house wives and /or hotel managers would definitely kept the place tidier) and the location perfect for those interested in Rehavia or those wanting to stay in a little hotel, close to the Old City. Personal and friendly welcome, we were already in the room at 11 a.m. Basic great room. Clean, good shower (in the bath). Free coffee and tea all day and evening. Breakfast wide assortment, lots of salads, nice fresh bread etc. Located in a quiet neighborhood, easily accessible by bus. 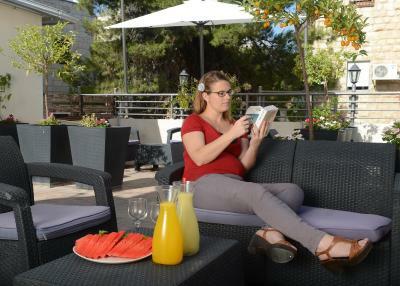 15 minutes walk to Jaffa gate. From there you can visit the old center. A noisy aircon outside. Going all night. Kept us awake. Tv system not easy to use. 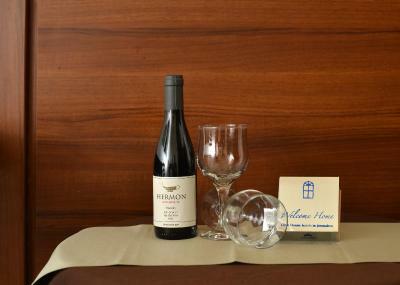 This is a hotel, but it is also a home. It is quiet and in a quiet Jewish neighborhood. I enjoyed reading all the quotes on the walls. The coffee/tea bar with water is complementary. There is affordable transfer to airport. More hot food variety for breakfast. The staff were very helpful! I was able to leave my luggage there when travelling to Jordan. Friendly and welcoming.